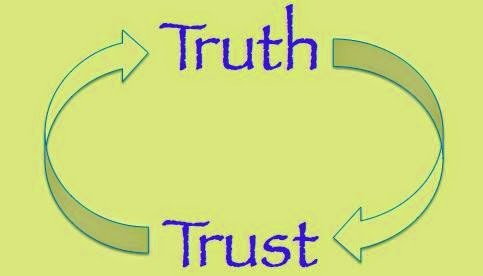 Truth & trust are two T's that are almost fading away from our lives. We often come across incidents where a person of trust has cheated someone.This actually makes us cautious and restricts us further to rely on, no matter how much that person is close to you. I am no exception and always try not to put my trust on anybody and everybody around. Like any other household, there is one lady who comes to my house to help me out in my household work. She does the cleaning, mopping, dusting etc. In the beginning, I was reluctant to assign all the work to her, as I hardly knew her, but slowly she won my confidence. I started assigning more and more things to her along with the perks. Its been 2 years she has been working in my house. I have no complaints with her, and she also fits fine. Sometimes she treats me with nice homemade snacks during festivals. She never skips work, for taking leave she tells me from beforehand. At times when I have to go out, she makes a time to come later and do my work, in spite of working in other houses. She never bothers me if she sees I am busy in my work. Even I do not interfere in the way she works and she does everything just fine.We have developed a healthy understanding with each other. One morning of January, I was waiting for her to come. But she did not come the entire evening. I thought she may come in the afternoon, but she did not. I tried her phone which kept on ringing. I waited the entire evening and she did not show. The same thing happened for the next 2 days. In the beginning I was a bit annoyed, but later this annoyance was converted to anxiousness. I started worrying if everything was fine with her. On the third day I again tried her and this time she picked up the call and was crying. She told me that her mother had got a heart attack and needed to be operated and that can cost up to 1 lakh. She asked if I could help, and immediately I said yes of course. She came in the evening and I gave her whatever I could arrange in that short period of time. She was so thankful that she almost had tears in her eyes. And she told me anyhow she would return the money. I assured her that first her mother should get fully cured and then we may talk about it. From the next day some people started asking me why I had given her so much money without even knowing her so well, what if she runs away with the money. I said it did not come in my mind at that time, all I could think about was her mother's operation should not be stopped due to lack of funds. Some people advised what excuses they might have given if they were in my place. I listened to them, and it came to my mind, if I had done some mistake! After 2 days, I got a call from her, informing that her mother's surgery was successful and she would be coming back to work after 4 days. As said, she came to work on time. Everything was back to normal, I kept on asking about her mother and she kept on telling about how she was recovering slowly and steadily. On the day of her payment, just when I was thinking of how to adjust for her to repay, the door bell rang and I opened the door to find an old lady standing with my house help. She introduced her as her mother. That old lady held my hand and silently kept on looking into my eyes. I could see the gratefulness in her eyes. She gave me a portion of the amount and said the rest she would be giving back after some days. The simplicity of these people really touched my heart, I wished those who were giving me so much advice were there too. But I was happy, very happy to know that I did not do any mistake. Trust & Truth, just like the alphabet T will always be there, just we have to find out.